Thoroughly enjoyed playing at my first local gig in my hometown of Budleigh Salterton in Devon earlier today. I was delighted to perform at the renowned Budleigh Salterton Literary Festival with the fantastic Chris Gradwell on Sax and Clarinet. Chris and I have known each other for years and worked on various things up in London over the years. We’ve both worked with the London Symphony Orchestra and various West End Shows. So when I relocated to East Devon with my family earlier this year it was the obvious thing to hook up with Chris who lives down this way. 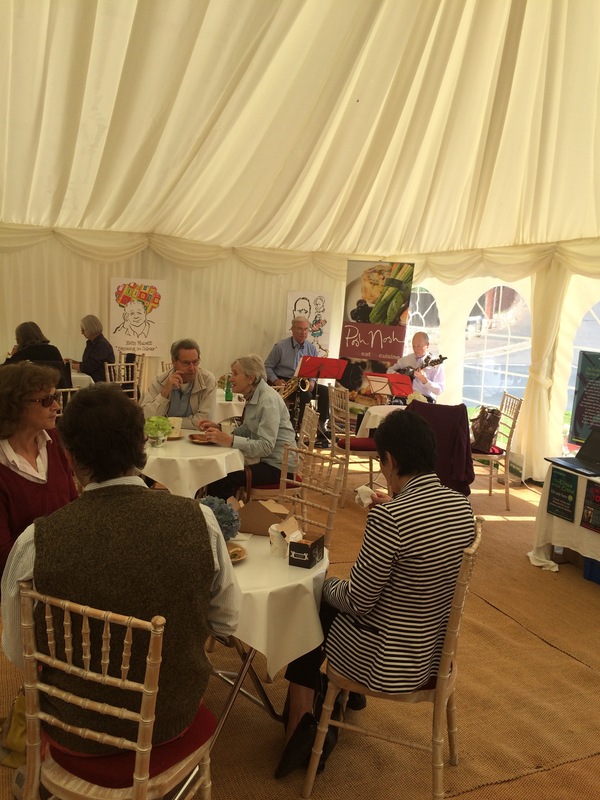 The Budleigh Salterton Literary Festival is a fabulous event in East Devon, boasting top authors, with many events and readings not to mention book launches and book signings. 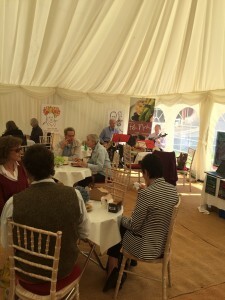 We were invited to perform in the Marquee on the Green, and entertained a couple of hundred people over the course of our set. Typically this type of event we would be playing background music, and so we were absolutely delighted to receive much applause throughout our set. There is one more day of the festival remaining, so get yourselves along tomorrow if you are able. We have already been rebooked for next year though, so if you don’t make it along tomorrow then put it in your diary for 2016. This entry was posted in Articles, news on September 19, 2015 by mike.